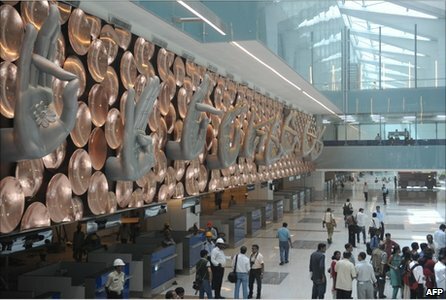 The lamp lighting and auspicious coconut smashing took place on July 3, but today is actually T3 Terminal's first day in business at Delhi's Indira Gandhi International Airport (IGIA). The sixth-largest passenger terminal in the world wants to be a regional hub like the airports in Dubai and Changi in Singapore when it grows up..
•The terminal's built-up area of 5.5 million square feet will serve 34 million passengers annually. •It has eight levels and 78 aero bridges, the largest number in a single terminal anwhere in the world. •Officials claim you won't ever have to walk more than 650 meters, thanks to travelators, if you follow a straight path from entry to boarding gate. •It should not take more than 45 minutes for a passenger to complete all pre-boarding formalities, thanks in part to the scrapping of the ill-founded system of screening baggage at the airport entry. This will now take place at the check-in counters. •There will be 98 immigration counters for international passengers. •The terminal will have a multi-level car parking facility, the largest in India, with space for 4,300 cars. •There will be 3,000 closed circuit television sets and 352 screening machines. •The terminal will have an eight-lane road connectivity with the nearby National Highway (NH-8), an underground Delhi Metro station and the journey from New Delhi Railway Station to the airport should take 18 minutes. •The domestic operations of Air India, Jet Airways and Kingfisher will also shift to the new terminal around August 27. With floor space of 6.4 million square ft, 92 automatic walkways and 78 aerobridges, the terminal's size and scale are awe-inspiring. Small wonder that the Prime Minister said it would be a window to India, the first impression of the country when one arrives here. "It would signal the arrival of a new India, committed to join the ranks of modern, industrialized nations of the world...The commissioning of this terminal will be a significant step forward in developing Delhi as a vital hub. It will encourage feeder traffic from the non-metro airports being developed by the Airports Authority of India," he said at the inaugural ceremony. The first impression is the sheer vastness of the building. But, it is possible to walk through without getting tired thanks to the travelators. This will be the first time in India that domestic and international passengers alike will walk in one stream till check-in. Only then will their paths diverge with international passengers heading for immigration and domestic passengers heading for the security check. The terminal has walkways lined with greenery, walls adorned with art based on the theme of 'Flavours of India' and brightly-lit corridors. Add to that a multi-level parking lot, equipped with elevators and corridors that connect to the main terminal building, taking passengers directly to their various entry gates. With 168 check-in counters and an in-line baggage check system, the check-in process will be a breeze. T3 offers world class facilities to make sure that flight operations are conducted smoothly and in a timely manner. The new baggage check system does away with separate x-raying of baggage, passengers are not likely to take more than five to 10 minutes to clear the process, claim Delhi International Airport (P) Ltd (DIAL) officials. After security check, passengers travelling in both the international and domestic sectors would have a wide variety of shopping outlets and food counters to choose from. With air traffic promising to rise and Delhi still dependent on its new and much shorter secondary runway, congestion-related delays are not likely to go away though waiting for flights will be a completely new experience. The airport building is a non-smoking zone but a special smoking room has been provided. Banks: are open 10 am to 2 p.m. Monday to Friday and 10 am to noon on Saturday. 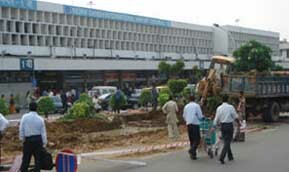 Central Bank in Ashok Hotel and State Bank of India at the Airport are open round the clock. Banks in residential areas generally observe the weekly holiday of the area. Credit Cards: American Express, Masters Charge Visa and Diners Club Credit Cards are generally accepted by large establishments, including hotels, shops and at lines. Sightseeing: You can rent a chauffeur-driven car or join a conducted tour that is probably the best way to see most in the least amount of time. Both facilities are provided by, among other, the ITDC (Tel. 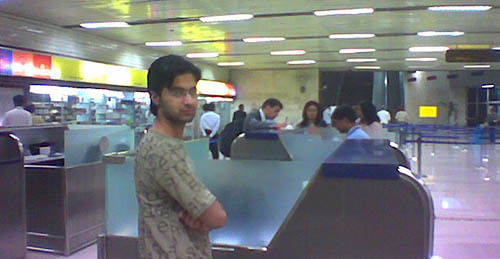 332-2336) Karachi Taxi (Tel. 332-03429). Tourist Guides: English speaking guides approved by the Govt. of India can be hired at all important places of interest. 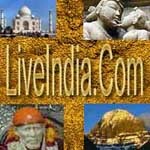 The Tourist Office (88 Janpath,) assists in hiring guides speaking other languages. Taxi/Scooter: Both are metered. Ensure that the driver flags down the meter before he starts. Minimum fares are Rs. 8.00 (taxi) and Rs. 5.00 (auto). The old meter readings will be Rs. 5.00 and Rs. 3.00 respectively, to which approximately 70 per cent of the reading are added. Revised meter reading fare charts are available with all public transport drivers. Extra charges are payable for halting, baggage and vehicles engaged between 11 am and 5 p.m. (20 per cent extra for autos and 25 per cent for taxis). To complain about overcharging or misbehaviour call 331-9334 (during office hours) or 301-4896.